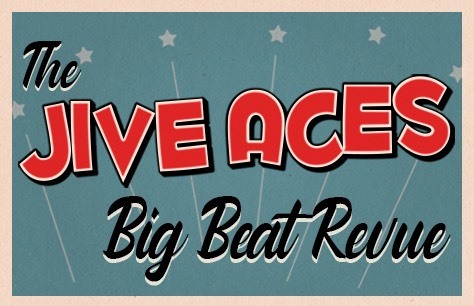 Tickets for The Jive Aces Big Beat Revue are now available. Don’t miss UK show yet at the Aldwych Theatre in London in February 2019! The "Big Beat Revue" will also include a host of fabulous special guests. Special guest West End superstar Cassidy Janson will be back at the Aldwych Theatre following her starring turn as Carole King in Beautiful. Her team up with Beverley Knight and Amber Riley for the album "Songs from the Stage" garnered her a Classic Brit Award nomination. She recently starred in Chess with both Alexandra Burke and Michael Ball and has performed with The Jive Aces a number of times over the past few years. The Satin Dollz will also be bringing their stunning tap routines and wonderful vocal harmonies in their signature vintage pin-up style. The evening's 40s and 50s rhythm and blues, jive and rock 'n' roll music will be complemented by guest stars Grazia Bevilacqua and her sublime accordion playing, as well as Lottie B's earthily hypnotic baritone sax. The Jive Aces will be performing a host of classic big-beat tunes from the likes of Big Joe Turner, Bobby Darin, Louis Jordan and Louis Prime and Keely Smith and are sure to have everyone up and dancing in the aisles! Book The Jive Aces Big Beat Revue tickets today to get the best seats at the best prices for this one night only concert!